I thought I'd share a few favorites of mine! This time of year brings a seasonal change and new products. I bought these tissues the first of the year when I had the flu. I can't even tell you how much I like them! They really are cool ~ in more ways than one. :) Very nice when you have allergy problems too. Kleenex Cool Touch* Tissues are made with a unique blend of ingredients, including cooling moisturizers and aloe. When Kleenex Cool Touch* Tissue comes in contact with your skin, body heat activates the formula to release cooling comfort to soothe a sore nose. I recently commented about having such dry skin problems. I remembered that I had one bottle of this "magic" left and began using it. I had purchased a special offer on one of the shopping channels sometime ago and 5 small bottles were included. I do recommend this! 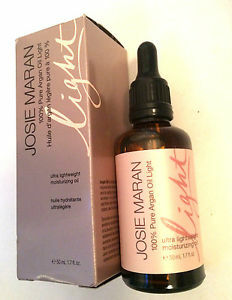 Lots of uses as noted below in the comments from Josie Maran. Argan Oil is a 100% organic, chemical-free gift from nature. Its cosmetic and nutritional benefits have been the best-kept secret of Moroccan women for centuries and a secret that was whispered to me on a modeling shoot ten years ago. Moroccan argan oil is extracted from the nut of the argan tree, which grows only in the Moroccan desert. Argan oil is loaded with Vitamin E and essential fatty acids, so it has amazing healing, conditioning and repairing properties. Argan oil benefits your skin, hair, feet, nails, and even your baby's bottom. A moisturizer so pure you can use it on your baby, or use it to dress your salad? That's my idea of pure beauty. Why I love it: Argan Oil might not be able to solve all the world’s problems, but when it comes to your body, there isn’t much it can’t do. It’s light enough to use as an everyday moisturizer, and powerful enough to soothe the symptoms of skin ailments like eczema or rosacea. Argan Oil is more than a pretty face. It’s a world-changer in a bottle—organically grown, then harvested and processed by women who support themselves and their families by selling us their liquid treasure. Health, beauty, and women empowering themselves: that’s the essence of Josie Maran Cosmetics. What’s in it: There’s nothing in the bottle but 100% Pure Argan Oil—organically grown, cold-pressed, and ready to rock your world. What’s not in it: You’ll find no fillers, no fragrances, no preservatives. It’s a win-win just as it is for all ages, all skin types, all the time. How to use it: I could go on and on. But for starters, you can use it to hydrate your skin after a shower. Dab a drop on rough cuticles, or smooth it onto your hair for shine and softness. Or…you tell me! If you have nail issues, this is the product you MUST have! My sister-in-law is a nail technician and has had her own business for years. She's tried to retire for a few years now but misses her clients too much so she continues to work a couple days a week. :) She does not do acrylics or any product with chemicals. She recommended this Nailtiques formula for me and, I promise, if you use it as suggested, it works! I use 2 coats prior to applying a color. I also take Biotin and Hair, Nails and Skin. Formula 2 - Treatment for Soft, Peeling, Bitten, Weak or Thin Nails Nailtiques Nail Protein formulas were created to treat different nail conditions. The salon-tested formulations offer special combinations of ingredients, including hydrolyzed keratin and protein in combination with gelatin and calcium to build a healthy nail foundation. The protein formulas bond the nail layers together building a strong nail foundation resistant to peeling, chipping and splitting. I'll leave you with something sweet and a smile! Get these while you can ~ they are offered for a limited time only. I hope you have a fun filled weekend! 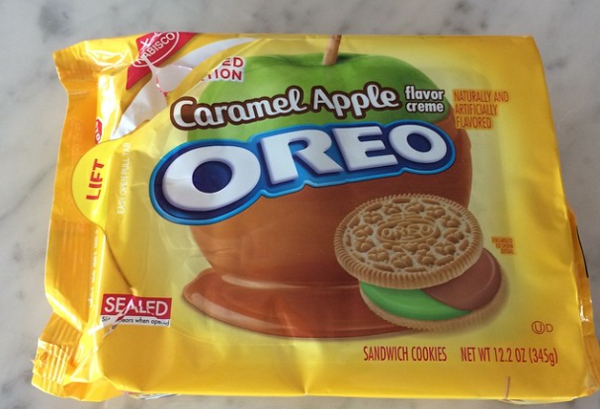 Those Halloween Oreos are a fave here! I love posts like this, Pat! The Kleenex sounds great, I have a cold right now. For the Argan oil...I've done a lot of research on oils and I suggest you try plain old jojoba oil...you can find it anywhere online. i use it everywhere and as a nice hair treatment. Finally--I love Essie...it's the only brand I buy. I'll try this color. Look for Cashmere Bathrobe...I wear it all the time. Love seeing these products! I am always looking for new things to try:) Enjoy your day dear friend, HUGS! I enjoyed reading about these five favorites of yours, Pat! It's always fun to see what other people like and use. Hi Pat, thanks for sharing your five favorites. The limited time cookies look so good. Have a great weekend. When I got to the grocery store the other day, I noticed my son had added those pumpkin spice Oreos to the list, so I got them for him. :) Love all the seasonal flavors this time of year. I'm working on a post right now about an Argan oil product I found and love. Good stuff! Thanks for sharing all of this! Hi Pat, would you mind sending me an email so I can write back to you? I want to ask you a question. I'm going to invest in some of the nailtiques formula. Thanks for sharing. And Oreos are the devil. The bag just seems to empty on their own! Hmm.